Inspired by the work of American folk artist James Hampton. The Seventh Most Important thing is one of those quite little understated works that nevertheless conveys an important message. It’s based on the life of James Hampton, a folk artist from the 1960’s, a janitor and a recluse intent on creating his vision of heaven from scraps. His life’s work, The Throne of the Third Heaven, made entirely out of foil, light bulbs, wood, mirrors and other items easily collected on the streets, was discovered posthumously and donated to the Smithsonian American Art Museum. Hampton, who referred to himself as St. James, is a central character in this lovely little book, but while the story is based in his life and work, all the other characters are fictional. The story is essentially about a 13-year-old boy named Arthur, who has just lost his father and deals with grief in the only way he knows how. We all react to grief so differently and I love books that explore this and take it to unexpected places. In that, I felt that Arthur’s character was done perfectly, as were the others around him. 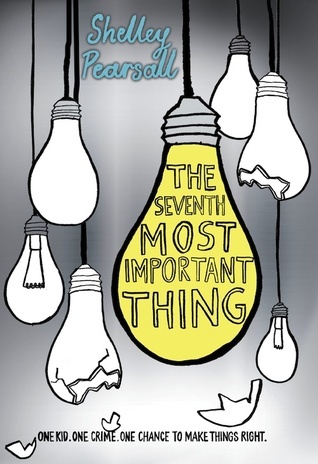 The Seventh Most Important thing might be a Middle Grade book, but it’s a book for everyone, regardless of their age. The writing style is easy and purposely simplified to match the thought process of a young boy. But all beauty in those simple sentences, all those genuine emotions, make this one worth your time. Through his journal a boy deals with the death of a classmate, who committed suicide as a result of bullying. The summer before school starts, Sam's friend and classmate Morgan Mallen kills herself. Morgan had been bullied. Maybe she kissed the wrong boy. Or said the wrong thing. What about that selfie that made the rounds? Morgan was this, and Morgan was that. But who really knows what happened? As Sam explores the events leading up to the tragedy, he must face a difficult and life-changing question: Why did he keep his friendship with Morgan a secret? And could he have done something—anything—to prevent her final actions? As he did in Bystander, James Preller takes an issue that faces every student and school in the country, and makes it personal, accessible, and real. The Fall by James Preller is one of those books that are difficult to read and even more difficult to rate, but nevertheless extremely important. It addresses some crucial issues and subtly points out things we should all keep in mind. There are many books that deal with the subject of bullying, but usually it’s from the victim’s perspective or even the bully’s. Rarely does it come from a passive observer and reluctant participant, someone who does things they’re not proud of due to peer pressure and fear. In that, The Fall is very unique and successful in explaining how a series of small things can amount to something insurmountable. The story isn’t told in the usual, linear narrative. It’s a diary of sorts, a collection of jumbled thoughts and poems written by a boy so deeply affected by a schoolmate’s suicide. His voice was done extremely well, the unapologetic, defiant parts mixed with desperation, regret and shame. Sam doesn’t hide his part in the girl’s suicide, but he reveals the full extent of it slowly, and through tragedy, he slowly builds himself into a much stronger individual. The best part of Preller’s work is a very clear portrayal of the distance between adults and teens, especially in such situations, the ever-present ‘us and them mentality. Sam is forced to listen to so many adults in the aftermath of this tragedy, and he even knows that what they’re saying is important, but it’s just background noise from him because no matter how useful it might be, it’s coming from the wrong source. Overall, The Fall misses some marks but gets some so very right. It may not be obviously, superficially emotional, but it’s a strong, important read that doesn’t fully reveal itself until the very end. It sounds like both of these covered and handled some tough topics and that they both did a good job at it too. I love these type of reads every now and then but I definitely have to be in the right mind frame to read them. They're both new to me I confess. Even if it's middle grade sometimes it's nice to have books like that. I don't read many of them but from time to time I'm intrigued by one. thanks for both reviews. I had not heard about either of these two, but I think I'll mark them for checking them out later, The Fall for sure. The genuine emotions sounds great to me. I am really interested in reading The Fall! These two subs like such important reads. I'm very interested in the first book you reviewed. Thanks for sharing. I haven't heard either of these titles before. I like how they address important questions from a different perspective. I'll have to check them out. I hadn't heard of either of these but they sound pretty good. I'm most interested in that second one. For some reason bully stories really get to me and I love reading them. Even though I hate the act, of course. Books about bullying can be so brutal and emotionally-draining to read, but when done right, they're also super important and educational. Will keep my eye out for The Fall. 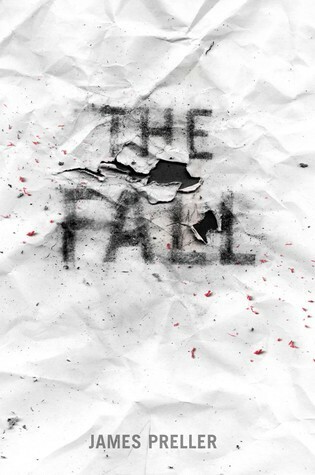 The Fall really sounds like something a lot of kids could really relate. I am curious myself as to how it is handled. However, TSMIT sounds like a book I really need to get for some MG readers I know. That one really sounds like something I would have enjoyed at that age (okay, and now as well... LOL). Ooooh, The Fall reminds me a lot of WEIGHTLESS by Sarah Bannan, which talks about bullying too in a small town. It's not from the bully nor from the victim, but actually from the "mob", the bystanders, those who indirectly contribute to it aren't directly involved. It's quite a chilling read, and I'm only 100 percent in. I'll definitely try the Fall and see how it compares to WEIGHTLESS! These both sound quite good, but if I had to pick one of them to read, I'd probably read The Seventh Most Important Thing. I just Googled The Throne of the Third Heaven and it looks very cool. They both sound very interesting. Thanks for reviewing The Seventh Most Important Thing & The Fall , I have been very curious about that one. I like Middle Grade books so it's nice to know the writing in this one is well done.